I am busy changing my ‘Lovely South Africa’ toile into a downloadable wallpaper for VISI (yes, you have read correctly; my design has a purpose and one that we can all enjoy for FREE). But this post is not about the toile (this will come later). It’s about what I found whilst going through my backup CD’s. On it I found pictures of my Seaweed Lamp. I made the lamp as an entry for the ‘No Kak’ environmental competition when I was studying. It won third place and I won a years bursary. 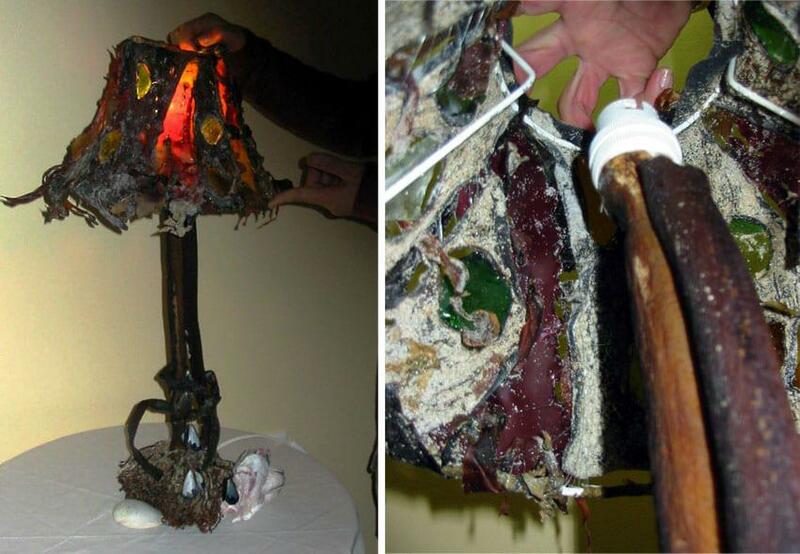 The lamp was made from seaweed, glass pieces found on the beach and fishing gut. I collected wet seaweed and cut slits into it or used the holes that were already there to lay the sandy glass pieces in. The seaweed was then left to dry around the glass and because when seaweed dries it shrinks, it held the glass in place without any glue. When the lamp is turned out, the light shines through the colourful glass and the effect is quite wonderful. I then stitched the pieces of seaweed together over a lamp shade frame with fishing gut. For the ‘spine’ of the lamp I used a seaweed stem and ran the cables up the middle. It was a very successful piece, a lot of fun and for once (honestly) this piece did get eaten by my dog… twice. 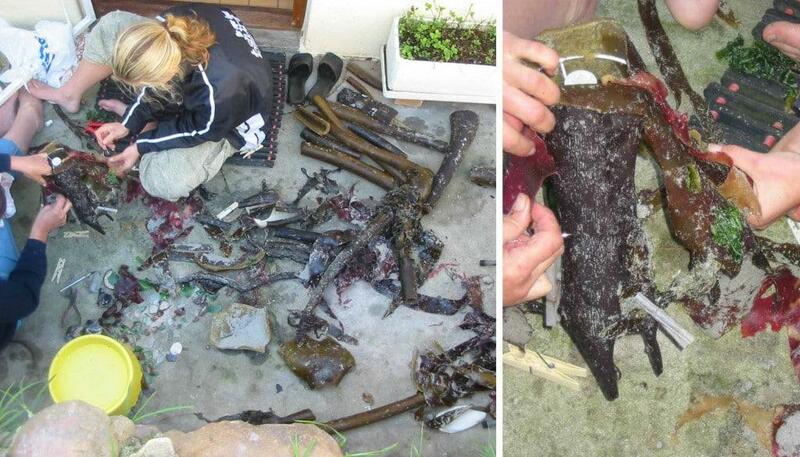 This entry was posted in Blog and tagged environmental competition, glass, no kak, seaweed, seaweed lamp.